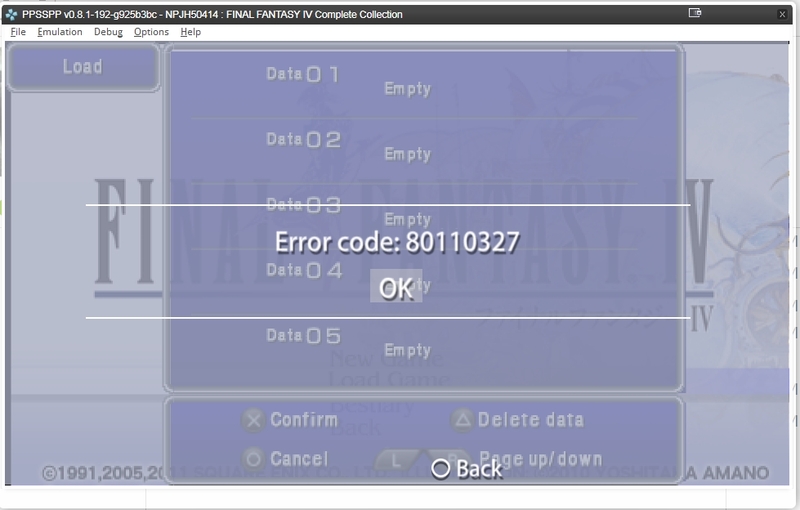 (07-02-2013 07:58 PM)fenixblade Wrote: Krainz, i've got the same problem too, but i opened in a text editor the ppsspp.ini and changed EncryptSave to False, and my FFIV returned to work, try making this. Well for me worked. It looks like I have to manually decrypt since it was saved through JPCSP.